Dwain Anthony Chambers, born 5th April 1978 in Islington North London, was a British track sprinter and one of the fastest European sprinters in the history of athletics. 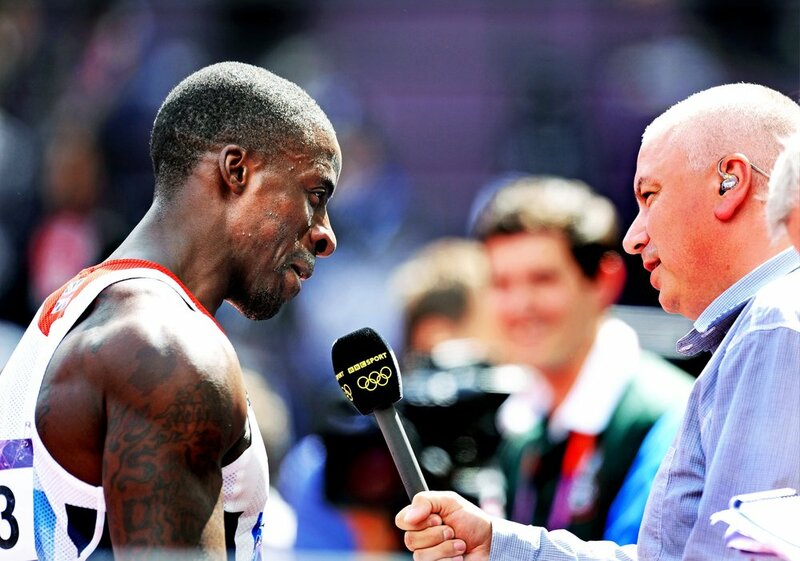 Dwain competed in the 100 metres for which he holds the fifth fastest time in British sprint history. Dwain has won medals at World and European level and remains the European record holder for the 60 metres with a time of 6.42s. As a junior, Dwain was introduced to his first coach, Selwyn Philbert. He first showed athletic promise at the English Schools Championships in 1994 when he won the title in 10.64s. In 1995 he won two gold medals (100m and relay) in the European Junior Championships. Two years later he returned, retaining both gold medals and winning the 100m in 10.06s, breaking the world junior record. Chambers ran a 100m world junior record of 10.06s in 1997 and became the youngest ever world medallist in the event at the 1999 World Championships, taking the bronze. Dwain’s senior career started at the age of 19 in 1998 where he continued to realise his promise. On his Olympic debut at the 2000 Sydney Olympics he was the best European performer in fourth place. He broke the 10 second-barrier twice at the 2001 World Championships. In 2004 Chambers career was brought to an abrupt halt after testing positive for the illegal steroid THG – he was banned for two years from his sport (backdated to 2003) and received a lifetime Olympic ban. Dwain was left disappointed, and he apologised to the international arena. He became more determined than ever to impress again on the track and simultaneously develop his career as a coach and fitness professional. Chambers returned to competition in June 2006, and won gold with his teammates in the 4×100m relay at the 2006 European Championships. He tried other sports, including a spell with the Hamburg Sea Devils of the NFL Europa league and a rugby league trial with Castleford Tigers. Sprinting success came over 60m when he won silver at the 2008 World Indoor Championships, gold at the 2009 European Indoors, and became world champion at the 2010 World Indoor Championships. In the 2010 season Dwain ran under 10 seconds in Bergen for the first time in ten years clocking 9.99. The 2011 season started full of promise; he had lost weight, had a new training regime and was in the best shape of his career. This was reflected in Dwain stringing a series of impressive times in close proximity of between 10.01 and 10.08 in Brazil and Europe. After a series of impressive wins on the International circuit and dedication to showing true remorse for his athletics ban, the Court of Arbitration for Sport overturned Dwain’s Olympic lifetime ban in 2012, deeming the decision non-compliant with the World Anti-Doping Code. He then went on to compete in the 2012 London Olympics. Off the track Dwain set up Chambers for Sport as a platform to encourage sport and fitness amongst young people and professional athletes. After qualifying as a personal trainer with Trainfitness, Dwain was determined to encourage others to progress their futures within the fitness industry. He now delivers motivational talks and bespoke training courses for a range of individuals, academies and teams.